What I am about to introduce here has nothing to do with the performance of your car, however this product worked so well I wanted to share it with everyone. 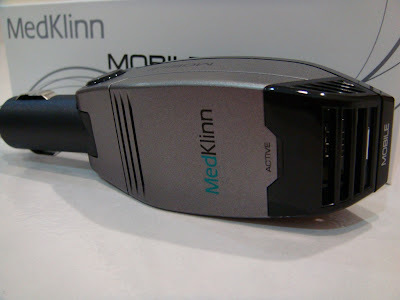 Meet Medklinn Mobile, a car air sterilizer/ionizer that plugs right in to your ciggarette lighter socket. In order to deodorize and detoxify the air inside the car, this device works by flooding the entire car's interior with massive amounts of negative ions to remove offensive odours and pollutants such as pollens, dust particles and exhaust fumes. To be really exact, it actually emissions up to at least 2 million negative ions per second in order to achieve that effectively. So do not confuse this with some voltage stabilizer products that also doubles as an air ionizer. This is not a voltage stabilizer, this is the real deal. The Star Online actually did a cover on this device 2 years back then and the article claims that the average number of germs on your steering wheel is actually more than double the numbers of germs residing in your toilet. So did it work for me? Hell yeah. Not only I noticed that my dashboard and audio head unit now has a lot more less dusts, I actually brought different types of food in to the car cabin to see how well this device works, including durian. And indeed, it worked well. If it can actually neutralize durian smell, it certainly would have no problems with any others. So I wind down my window and threw the Ambi Pur out from the car as I no longer need it to cover any smell in the car since I can actually remove it now. 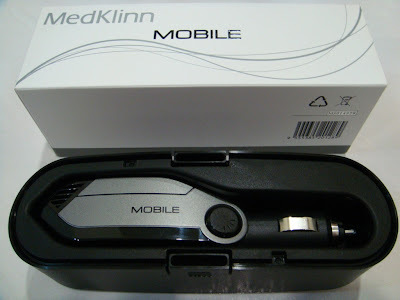 This device requires no maintenance, costs RM 300 and is backed with a year of warranty from Medklinn. *the HTML link cannot be used in the comment box kah?? anyways, i tried to search about your product but couldn't find the company's website. however, there are some sites which are selling it says that it produces up to 1.6 million ions which is not too bad! well, there's one way to find out. can follow me by bringing some durian in to the car cabin and leave it in there for some time. then you turn your ionizer and see whether it can remove the smell or not. yeah bro getting rid of the ciggie smell is definitely one good way to test it out. how does it look like bro? can post up on your blog to see? but guys... i have the same medklinn mobile in my vios 08.
prob is.. it interferes with my car radio..
do u all get the same prob? bro, what kind of interference are you getting? whining sound? i don't have this problem, but my head unit was changed. it could be due to an improper ground as well. the radio signal gets distorted or the reception quality goes down..
you most probably have a grounding issue, its quite common for factory fitted audio units sometimes to have the grounding wire loose. if your car is under warranty, you can consider sending in your car and tell them your problem and ask them to check your grounding. alternatively, installing a voltage stabilizer will help. i have one in my car and i don't have any problem that you're facing. Well...bro CCS was kind enough to loan me his medklinn unit. So here's my 2 cents. I used to enter the car in the mornings and notice stale cabin air. The medklinn seems to have reduced this issue. In regards to the radio reception, I have not encountered this since using the unit last Saturday. Maybe it's because I have grounding cables installed. My only comment on the unit is it tends to vibrate when driving. So what I did was to turn it sideways to reduce most of the flexing. bro h3r1cyl, hope you're able to get the problem rectified and share with us. 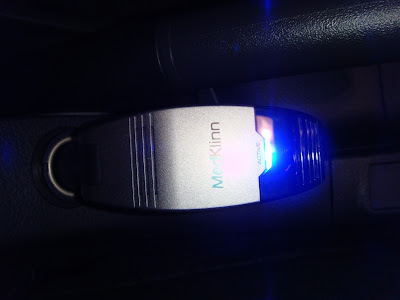 oh yeah for those who are using the medklinn mobile, the user manual also stated never bend the unit 90 degrees during usage as heat will build up and damage the unit.